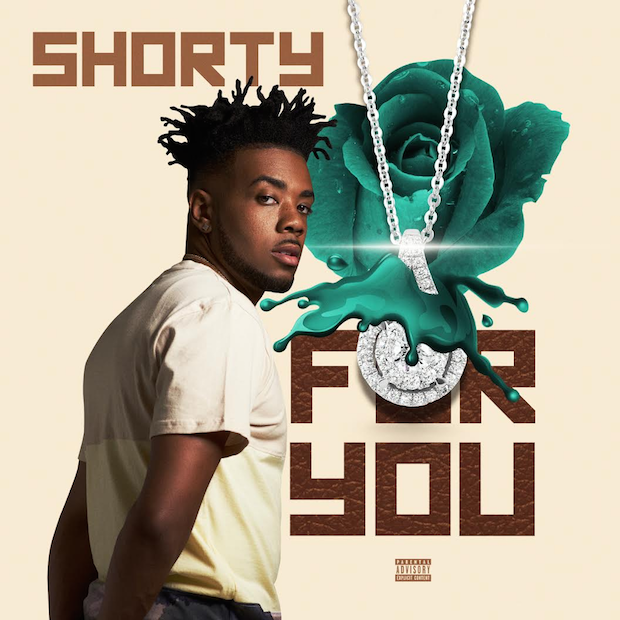 Home Shorty - "For You" Shorty - "For You"
When you're musician bred in Uptown New Orleans, also known as "The Big Easy," there are high expectations for you. You can't just passively like music, you have to be a real performer. Such is the case of the multi-talented entertainer Shorty who has worked with the likes of G-Unit's Kidd Kidd and Nolia legend himself Juvenile. Raised with a father who was a pastor and with siblings that were also in choir, Shorty transition from creating music in the church to the studio as his love of Hip-Hop grew at an early age. That background in church and growing up in New Orleans afforded Shorty the opportunity to try his hand at entertaining as Shorty has performed at several important shows including but not limited to the Bayou Classic Fan Fest, the Jazz and Heritage Festival, and he's opened up for Future multiple times. Influenced not only by local and popular rappers like Lil Wayne, Shorty drew inspiration as a youth from acts like Michael Jackson, Stevie Wonder and Prince. That inspiration drove his concept behind newest project dubbed Rich, which is completely inspired by the feelings and concepts of love. "I wanted to make a timeless sounding project. I love being loved so I made this entire Rich, project completely about love. Love is timeless, endless, and brings everything together," Shorty explained. From his early hits like "Tipsy," "Weekend," "I Luv Em" and "I Might" ft Kidd Kidd and Juvenile, Shorty has developed a fan base that is highly responsive to his releases. In fact this next single "For You" is expected to be Shorty's biggest hit yet and a breakout song locally that will likely put him on the map across the country. "KC Da Producer produced my new single For You," Shorty said. "I have several shows coming up and I'm approaching the Blow Talk Tour hosted by Bigga Rankin, so I'm looking forward to the opportunity to meet fans in different cities." Tags : Shorty - "For You"